It’s December and I still have a few homegrown tomatoes, picked just before the first frost when they were still green. Some of them came from test plants I grew with vermicompost from TerraCycle. Last spring, the company’s James Artis had sent samples of TerraCycle products, including a liquid form of vermicompost, also known as worm poop. 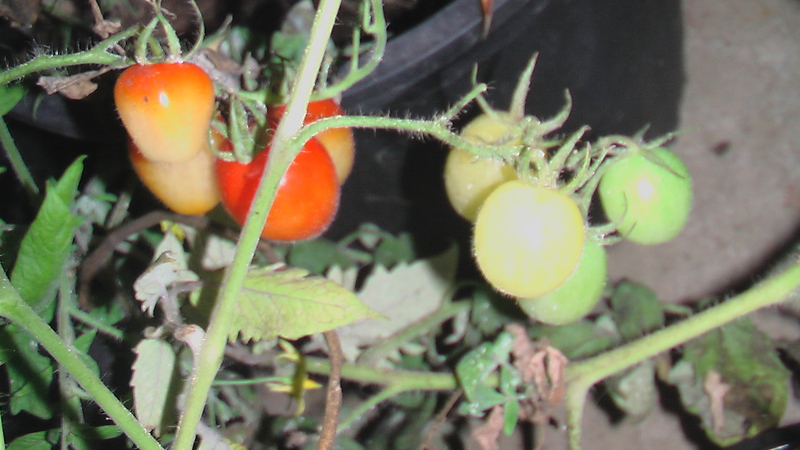 Worms create a rich fertilizer and I wanted to test out TerraCycle’s on my tomatoes. I planted containers with Snoberry, cherry and Tomatoberry varieties – two of each kind. On one of each variety I used Terracycle weekly, along with regular watering. On the other, just regular watering, but no fertilizer of any kind. It wasn’t the most scientific experiment, but worked well until the containers, on my back porch, were beset with problems. Two were taken out when a screen fell during a windstorm. The others survived, but were neglected to an extent after Iowa’s catastrophic floods in June. The floods didn’t reach my house, but kept my attention diverted elsewhere. So I was surprised when doing fall cleanup to find some of the plants had actually produced tomatoes. I believe they were the Terracycle plants, but didn’t have much to compare them with at that point in time. Hopefully in the future I’ll be able to conduct a more thorough test, or maybe some of you have used TerraCycle or other vermicompost and could describe your results.